When asked what new skill or talent would you like to learn, most everyone quickly answers, “I’d love to learn how to navigate my computer, smart phone and tablet.” Most everyone has one but surfing the web or communicating with family keeps changing. Keeping up with all of the new software and navigating new tricks are easy to learn if you have a good teacher. And at Springmoor, we have several! Our Resident Computer Committee, as well as our IT Department, offers classes for those interested in learning about the new technology and the growing list of creative applications. Located in North Village’s West Wing, the computer lab is a well-equipped room with desk space, computers and printers. 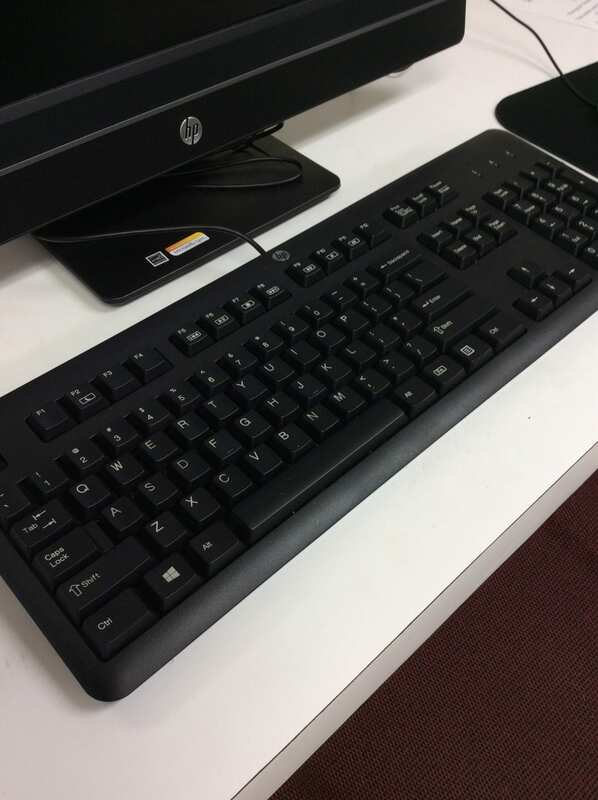 There are also computers located across the campus in our common areas that can be used as needed. The Computer Lab is equipped with six workstations all with Windows 10. We also have the interactive It’s Never Too Late (IN2L) program that incorporates user-friendly technology designed especially for families regardless of anyone’s abilities. Hundreds of recreational, intellectual simulation and social connection applications can be found on the person-centered program. 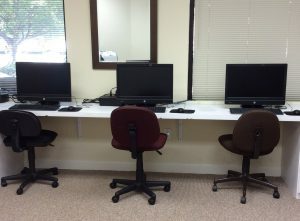 Wi-Fi is provided in the Computer Lab if a resident wants to work on their own personal device. Wake County’s Library System offers e-books on Kindles, Nooks and E-readers and it is easy to find a resident or our IT specialist to assist you in getting this set-up for easy downloading and reading. From time to time, we will teach classes on this simple application too. Twice a year, our Resident Computer Committee Chairman, Charlie Apperson, teaches an Introduction to Computer class. The 7-week week hands-on lab meets once a week for two-hour sessions. With a cost of only $10, the class includes a flash drive and a class manual. Mouse skills, Word Processing, Internet, E-Mail, Spreadsheets, File Management and Task Launcher are all covered in this great beginner class. It’s a perfect way to challenge yourself with new skills and social tools. For those with some technical skills already, our IT Support Specialist, Daniel Sekeras, teaches one-session Advanced Courses on various subjects: File backups, E-Books, Network and Computer Security. Visual courses can have more participants than our hands-on classes. These classes provide great information for those interested in everything that the latest technology has to offer! Most anytime you walk by the lab, you will find one or two residents hard at work. Maybe editing photos, corresponding with family, researching family genealogy, checking the latest news or just playing Sudoku. Ask for Charlie or Daniel, they can always help you navigate the web, design a new spreadsheet or simply guide you through the steps needed to save your last project.